The Shatter tastes sweet and fruity like the bud, but clean and smooth. It’s an upper with a little CBD so it keeps you mellow and relaxed – still able to focus during the day. After an hour, you can feel the relaxation fade away with the head high still present. That focused energetic up-high is still present many hours later because of the ratio of THC to CBD. 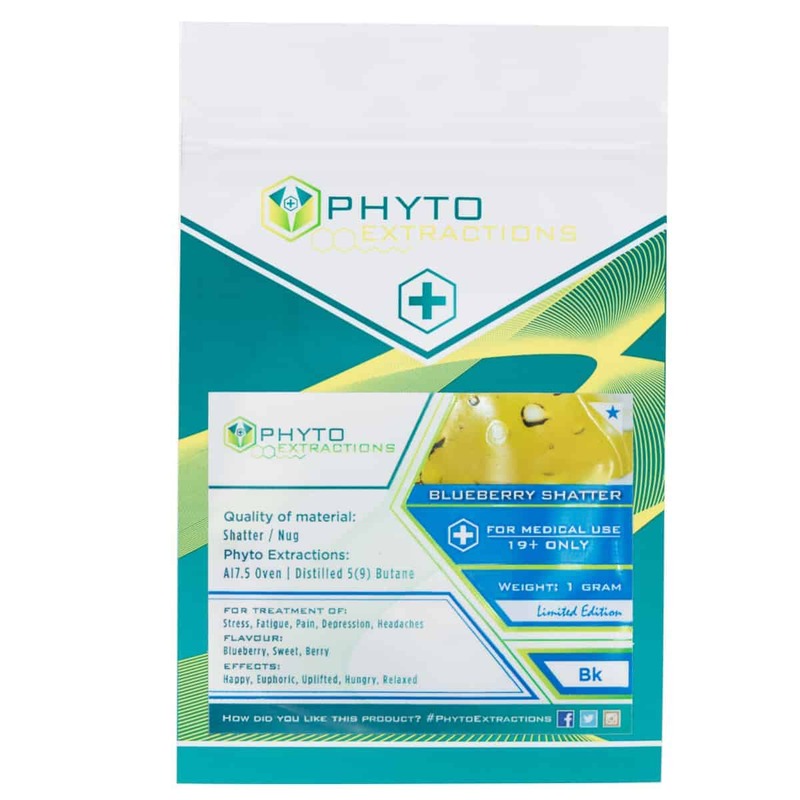 4 reviews for "Phyto – Blueberry – Hybrid Shatter"
Shared this with a friend, as soon as I opened the back it smelt like blueberries. Had a really smooth sweet taste to it, wasnt my cup of tea really but still pretty good.